It doesn’t matter whether it’s a business, interest, dividends, rent earned on an overseas property, Airbnb, Deliveroo delivering or other types of income you’ve earned, the chances are you need to declare this in your tax return. The temptation of course is to skip it. That’s because it might not amount to much or you’ve popped it in the too-hard basket of having to figure it out. Or perhaps you’re considering popping the income into your partner’s lower income return, regardless of who is listed as owner of the asset. After all, the lower income earner was organising everything so shouldn’t they be the one declaring the income? The problem with self-assessment is it’s up to us what goes into our tax returns. The issue arises when you don’t understand the rules, or you don’t appreciate the folks at the Tax Office are more savvy than you give them credit for. And they have a truckload of cash to spend on benchmarking audits to catch you out if you don’t play by the rules. So, if you’ve earned a little extra income and you’re preparing your tax return, what do you need to be aware of when it comes to extra income you may have earned during the year? The Tax Office has a data-matching program that lets it pre-fill your tax return with income where you have supplied your tax file number. This includes typically interest, dividends and managed fund income. The trap is not to include income that isn’t pre-filled – just because the ATO doesn’t have that information now, doesn’t mean they won’t in the future so don’t rely on the pre-filled data as being your only source of these types of income. 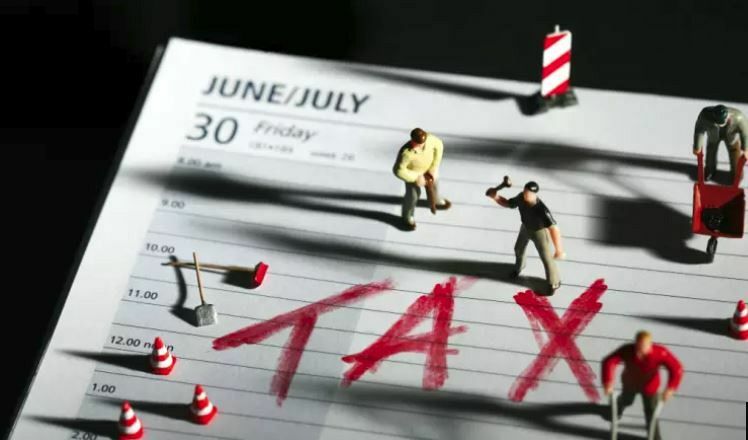 The Tax Office has announced it is in the process of acquiring rental bond data from September 20, 1985, to June 30, 2020, from the relevant bodies in each state and territory. Why? The data collected will be electronically matched to identify taxpayers who potentially have earned income from rental properties or have a CGT event from the sale of real property. If you haven’t declared income from a property you earned income from or the sale of that property you can expect a "please explain" from the Tax Office. The Tax Office has also announced it will be collecting information regarding sharing economy accommodation (including Airbnb, Stayz and others) to identify individuals who have, or may be engaged in, providing accommodation services through an online platform during the 2017 to 2020 income year. This means if you’ve earned income from one of these platforms and think it’s not much so you don’t need to declare it, again you can expect a "please explain" from the Tax Office. The Tax Office has also recently updated their website to advise and remind taxpayers that where they rent, hire or share their car through a "peer to peer" car-sharing platform, such as Car Next Door, Carhood or Drivemycar rentals, they may need to declare all their income earned. Just because you think you’ve earned the income because you’ve put in the effort, it’s not always the case. For example, just because partner A lists the home on Airbnb, styles the house, greets the guests and does all the other running around while partner B does nothing, if the property is owned in both names the income needs to be declared in both partner A and partner B’s tax returns. This is also the case for car rental, sharing or hiring through a platform such as the ones listed in the example above. The Tax Office has made it clear that if a car is owned jointly, then income must be declared and expenses claimed in proportion to a taxpayer’s share of ownership. I used to enjoy the game of looking at a business’ financials and telling them how much cash I believed was running through their business and watching the blood drain from their face. That’s because if I could figure it out from a glance so can the Tax Office. The ATO has benchmarking for businesses where if you are operating outside their guidelines you can almost guarantee an audit. And they have a team of data-mining specialists whose sole role is to look for non-compliers online. This may involve peeking at your social media if they suspect you’re not declaring all your business income to see if there is evidence of boats, expensive holidays, private schooling and other spending patterns that is inconsistent with the income earned in your business. In which case they’ll adjust your profit to suit what they believe it should be. The message should be that – more than ever before – it’s important to declare all income earned in your tax returns and be aware of whose name it should be declared in. If you suspect you’ve left income out and you could be caught out, it’s better to do something about that now rather than wait for a please explain by the ATO. Of course, if you’re unsure and it seems too difficult, make sure you seek help with a great tax accountant.